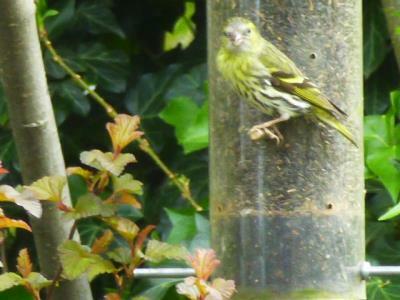 Bird Id - Forum - Identifying Birds - Yellow Hammers Or Siskins ? Forum > Identifying Birds > Yellow Hammers Or Siskins ? We have a pair of birds recently feeding from our Nyger seed feeder which we would like to identify. They have only appeared in the past couple of days. 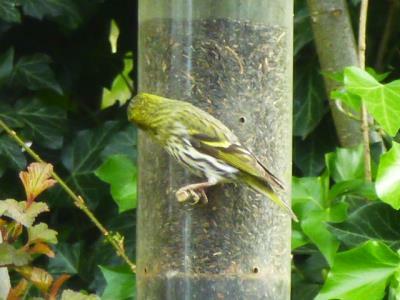 We think they are Yellow Hammers, or Siskins, but our photos do not match with any on this or other sites. They have far more yellow than any of the pics.